To make a lodging reservation request, simply complete the form below. Please note that this form does not guarantee a reservation. A Reservation Specialist will respond to your request by phone or email within 24 hours and we will be happy to confirm availability and answer any questions you may have. 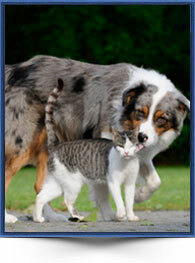 Thank you for choosing Dogwood Acres Pet Retreat and we look forward to meeting you and your pet! How did you hear about Dogwood Acres?